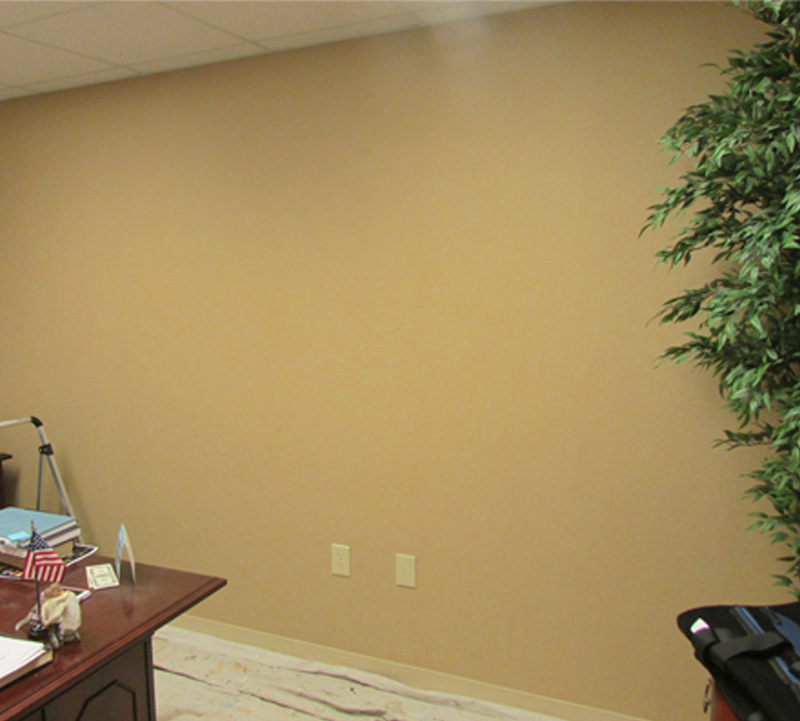 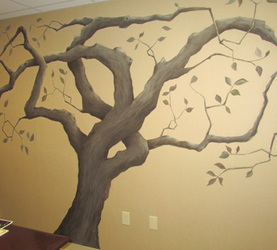 This mural is the backdrop for a family tree. Framed photos of family members will hang from the branches. 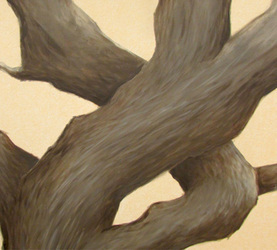 Detail of brush work on tree trunk. 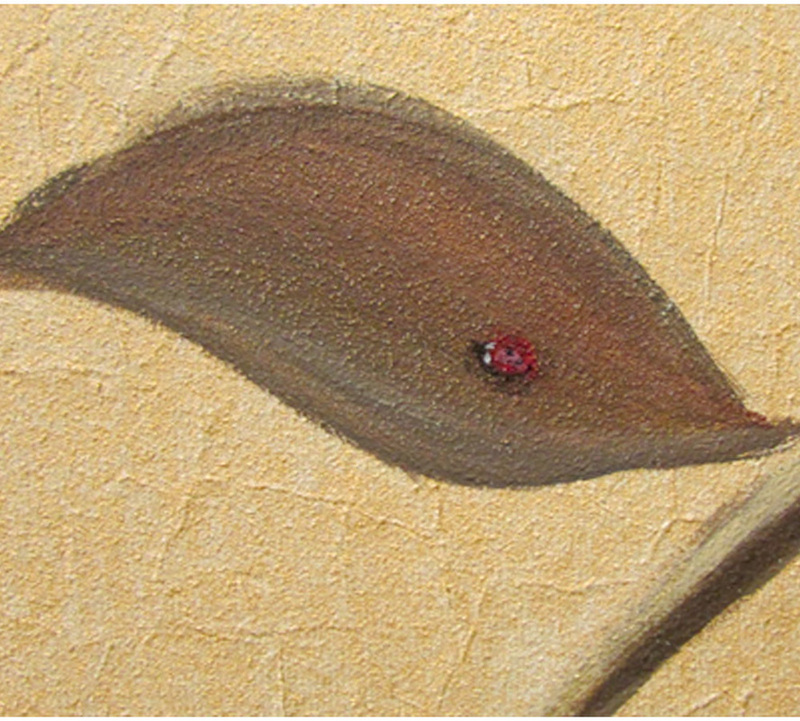 Signature lady bug is hidden on all my murals.